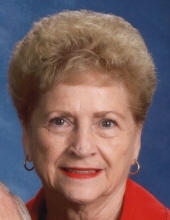 Ann Maltempie, 82, of Grandview, passed away on April 8, 2019. Ann served the Lord in many capacities, was a member of Crow Baptist Church, and former employee of C&P Telephone Company. She was a dedicated, loving wife, mother and grandmother. She was preceded in death by her parents, 2 brothers, 1 sister, and a granddaughter, Alyssa Maltempie. She is survived by her husband of 60 years, Bob Maltempie; sons, Mark Maltempie and wife Kelly of Cross Lanes, Philip Maltempie and wife Wendy of Beaver, Mike Maltempie and wife Melinda of Athens; daughter, Kristi Logan and husband Jason of Beckley; grandsons, Adam Maltempie and fiancee, Bethany Lusk of Beckley, Joseph and Jacob Maltempie, of Athens, Isaiah and Eli Logan of Beckley; granddaughter, Elizabeth Maltempie of Beaver and brother, Charles Shannon of Norfolk, VA.
Funeral services will be 11:00 am Friday, April 12 at Crow Baptist Church, 1641 Old Crow Road, Beaver, with Pastor Dennis Burks, Dr. Charles Bright and hew nephew Pastor Steve Maltempi officiating. Entombment will follow at Sunset Memorial Park, Beckley. Friends may visit with the family from 5:00 – 8:00 pm Thursday, April 11 at Crow Baptist Church and one hour prior to services on Friday. Donations may be made to Bowers Hospice House at 454 Cranberry Drive, Beckley, WV 25801. Cunningham-Parker-Johnson Funeral Home is serving the Maltempie Family. To send flowers or a remembrance gift to the family of Ann Maltempie, please visit our Tribute Store. "Email Address" would like to share the life celebration of Ann Maltempie. Click on the "link" to go to share a favorite memory or leave a condolence message for the family.